CIGAR AFICIONADO - Cigar Auction Features Custom Siglo Humidor. 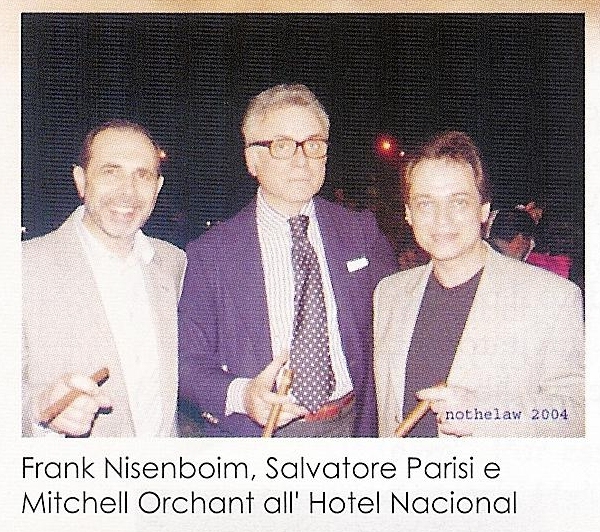 INTERNATIONAL CIGAR CLUB'S - "An Interview with" SmokeyMO. Click here to view the interview in their forum. 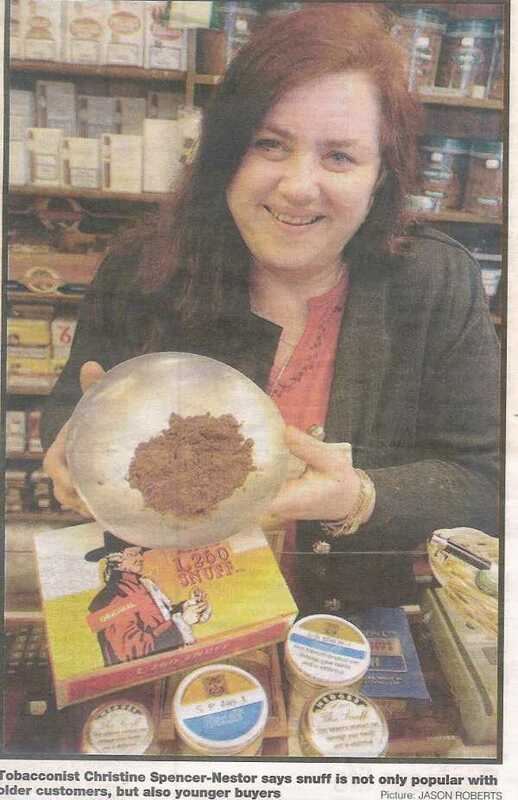 The Tobacco Reporter's June 2011 article on a Record price expected for Castro-signed humidor. 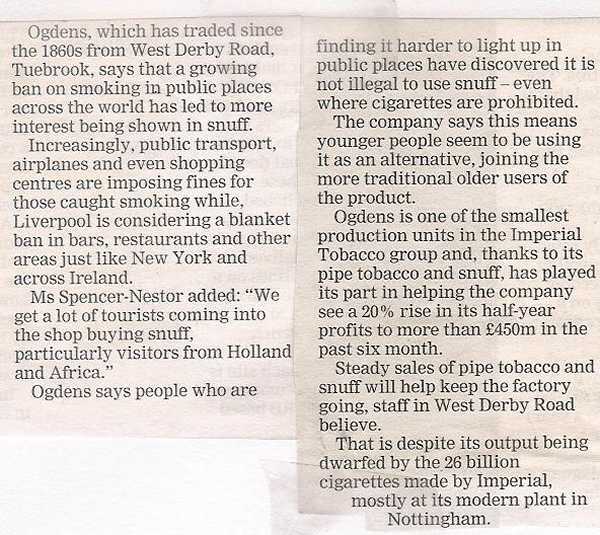 If the value had not gone up, I'd just smoke them!! Following nearly two years of a decline in bids, buyers came out in force at a May 20 cigar auction in London when Christie's King Street earned more than $272,000 selling 348 lots of cigars, including many rare boxes of Cuban Davidoffs, Dunhills and pre-Embargo cigars selling for extremely high prices. According to Brian Ebbesen, senior cigar specialist for Christie's, buyers from the Far East, particularly China and Japan, pushed cigar prices back to levels last seen in 2001 and 2002. "A few of our old buyers from the Far East seemed to be back, and some new ones also appeared," he said. "We had great prices for many lots despite the relatively low total." The cigars were auctioned during the third session, and there was no shortage of aged Havanas in fine condition from the 1960s, 1970s and 1980s. Buyers were not only present from the Far East, but also Britain and the rest of Europe as well as the United States. 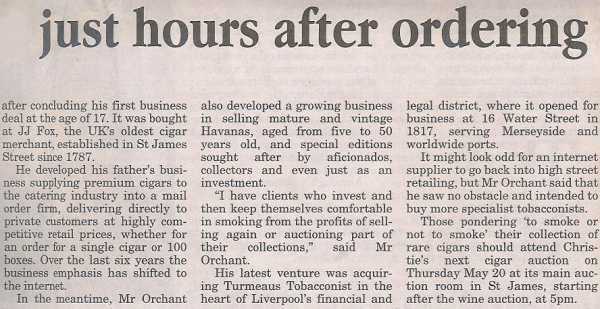 "There were lots of bidders in the room, and on the phone as well as commissioned bids," said Mitchell Orchant, managing director of C. Gars Ltd., a London-based cigar merchant specializing in vintage smokes. He was one of the biggest buyers in the auction room. "Everything sold well except for recent stuff. We haven't seen prices like this for a couple of years." "The selection was very good in the sale, but prices were much higher than I expected, so I did not buy as many cigars as I hoped," said one American cigar collector from Chicago, who buys regularly at auction and in Havana. "The prices were a very strong indeed. Davidoffs and Dunhills brought a lot of money. And rare robustos were strong -- a box of Dunhill Cabinetta brought Â£5,400 and Flor De Cano Short Churchills went for Â£6,000! They were both well above what they were expected to fetch in the sale." Here are some of the other highlights of the sale. A cabinet of 100 Partagas Churchills from 1973 took in a high bid of Â£11,000 (approximately $19,350), higher than the pre-sale estimate of Â£8,000 to Â£10,000. These cigars had been stored at the London tobacconist J.J. Fox for 30 years, leaving the shop only for this auction. 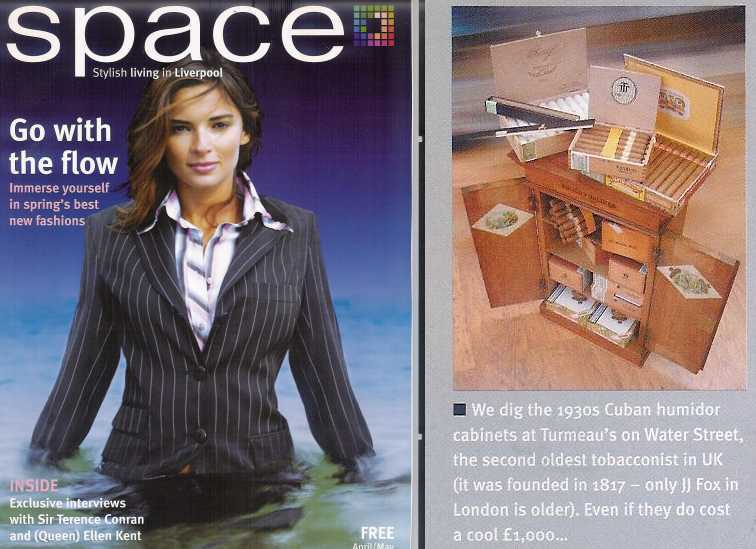 A 1492 Humidor made in 1992 by Cubatabaco to celebrate Columbus's discovery of tobacco earned Â£7,000 ($12,300). This special humidor is No. 459, and contains 50 cigars with individually numbered bands. Each cigar is 5 5/8 by 46 ring. A 1492 earned a perfect 100-point score in Cigar Aficionado's Connoisseur's Corner in 2002. 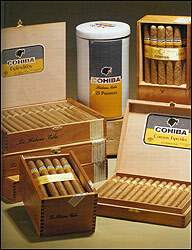 A jar of 25 Cohiba 30th Anniversary cigars sold for Â£800 ($1,400). A cabinet of 50 Davidoff ChÃ¢teau Lafite cigars (4 1/2 inches by 40) from the 1970s took in Â£1,600 ($2,800). These cigars were sealed, but unwrapped for the auction. 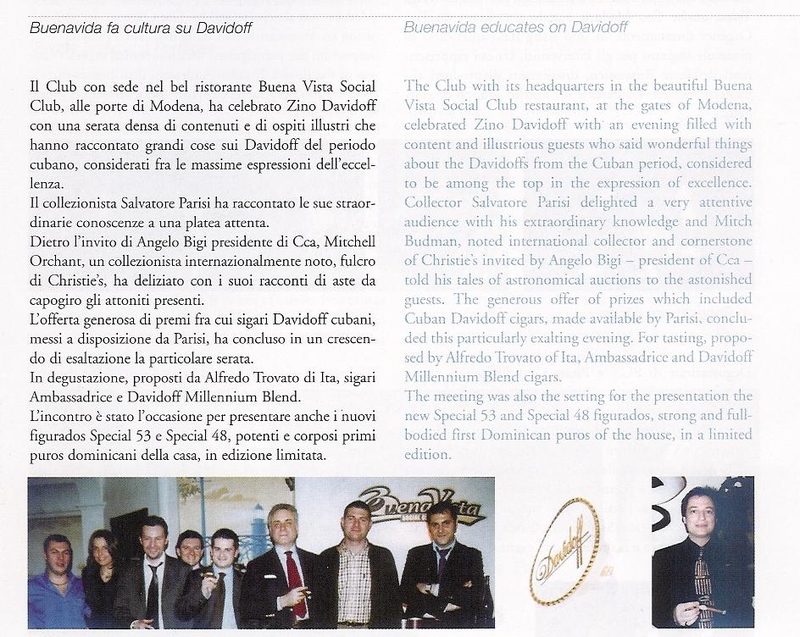 A cabinet of 50 unbanded Davidoff ChÃ¢teau Haut-Brion cigars (4 by 40) from 1975 sold for Â£1,500 ($2,600). A cabinet of 25 dark and unbanded Davidoff 4000 cigars (6 1/8 by 42) from the 1970s sold for Â£1,300 ($2,300). A box of 25 Romeo y Julieta Prince of Wales Churchills (7 by 47) sold for Â£1,100 ($1,900). Seven of these boxes were kept at Jacksons Piccadilly since their production in 1976. These went for far more than their pre-sale estimates of Â£600 to Â£800. A box of 50 pre-embargo cellophaned Henry Clay Navarinos, which measure 4 3/4 inches by 40 ring, sold for Â£850 ($1,500). A box of 25 Romeo y Julieta Excellentes (6 by 38) sold for Â£1,050 ($1,850). Seven of these boxes have been in the possession of J.J. Fox's since they were produced in 1967. Each was expected to sell for around Â£600 to Â£800. A cabinet of 25 pre-embargo Santa Cubana Barnatos (5 1/2 by 43) sold for Â£850 ($1,500). It was expected to sell for approximately Â£500 to Â£700. "Prices are on the increase again," added Orchant. 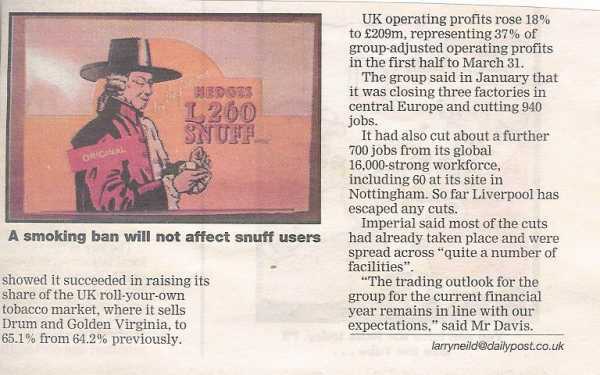 "It was top prices for Dunhill and Davidoff. The older limited edition humidors were back again at high prices but recent ones did not sell very well. Pre-embargo are still very reasonable for what they are." Thanks Web Active!! For a wonderful review....... What a surprise! 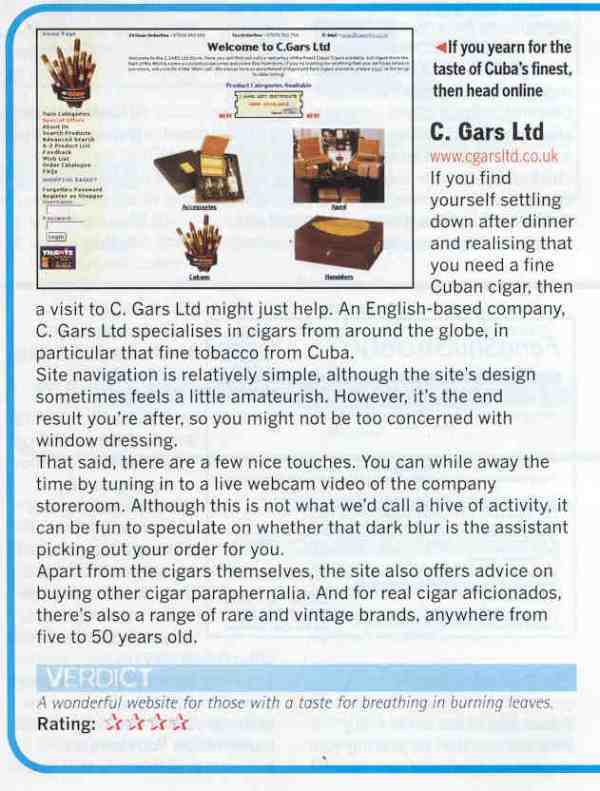 We are so glad that this independent magazine found our site navigation simple and we hope that our clients and friends like the community 'feel' and informative nature of our website dedicated to the smoking pleasures of fine Havana cigars. 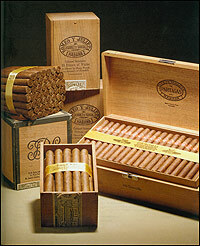 C.GARS LTD - THE PREMIER SOURCE FOR HAVANA CIGARS ON THE WORLD WIDE WEB. C.GARS Ltd have the entire range of Havana cigars available in the UK, in stock in their enormous walk-in humidors in London and Norfolk. They also have 28 ranges of non-Cuban cigars, and all manner of accessories including Zino and Dunhill - cases, ashtrays, cutters, humidors, lighters - and everything is delivered to your door. They'll even gift-wrap free of charge any time of year. 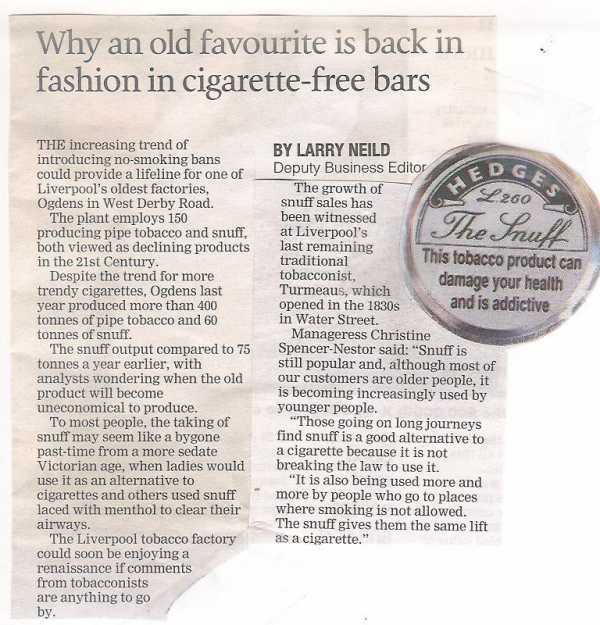 C.GARS Ltd operate 24 hours a day, 365 days of the year and they'll even deliver in London on Christmas Day! 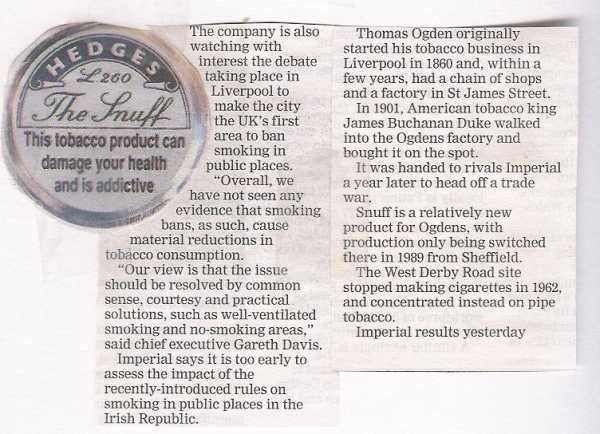 The Times Newspaper recently gave C.GARS Ltd a superb 9 out of 10 in a Mystery Shopper review of Internet businesses. 'We were really chuffed. We love what we do here and customer endorsements give us a tremendous sense of pride and satisfaction. We have friendly, helpful advisors on-line and available by telephone or email - and they're all Hunters and Frankau Cigar School trained. It's customer service second to none'. 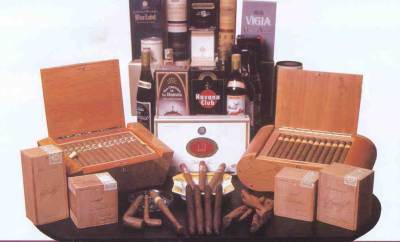 Unlike many cigar outlets C.GARS Ltd sell a huge range of sampler packs put together by brand and by size. They also sell a huge number of singles, often splitting boxes no-one else will. And every order comes with cigar matches and cutters absolutely free.